Though we’re already a few days into Spring, a chill has been in the air from the latest cold front. Monte and I weeded the flower bed along the fence. It’s ready for some spring flower sets. I think I’ll wait another week. 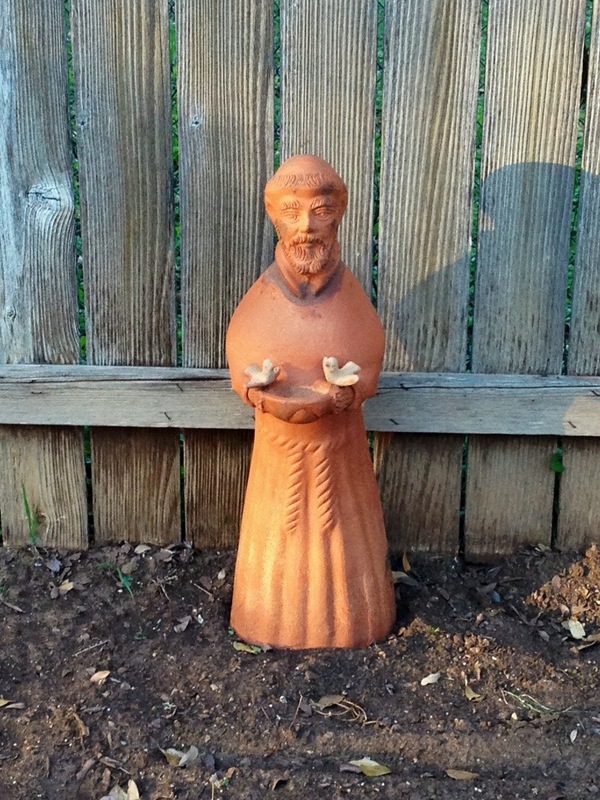 St. Francis will have to hold down the fort a little longer. Previous Previous post: A modest proposal. Next Next post: A look back in time.